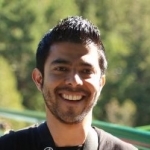 A few weeks ago I helped a customer set up a successful connection between SAS and a remote DB2 database using ODBC. At first, I thought this case would be as simple as plugging in a cable. Why? Because I already had a fully-functional testing environment with direct interaction using SAS/ACCESS Interface to DB2. Besides, I had other RDBMS connected via ODBC. Therefore, it was just a matter of setting up my ODBC driver manager for DB2. No big deal right? Oh boy, was I wrong! It was not easy at all. It took me two full days to make it work in my lab, and only after some in-depth research and a lot of trial and error. DB2 can be challenging, especially when most of the documentation I found was either incomplete, outdated, scarce or even unclear. I don't want you to undergo the same frustration I felt. As a blogger and SAS user, it is my duty to make your SAS life a little easier. That's why I decided to publish this blog post to share the solution with the community. 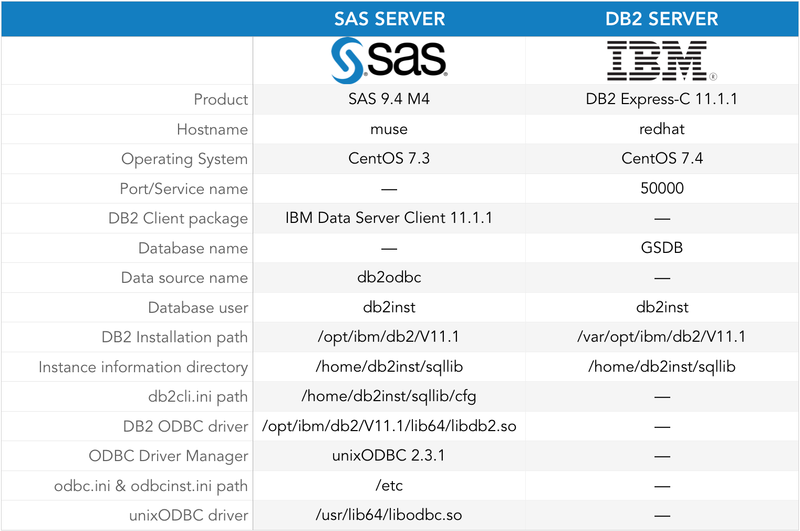 This guide provides you with the steps to take to set up a successful connection between SAS and a remote DB2 database via ODBC on Linux, without tears. Do we need to use db2dsdriver.cfg? All commands throughout this guide are based on this table. You should replace the code with your settings when appropriate. It may sound obvious, but you must verify that your SAS release supports your DB2 database version. For instance, My Environment section shows that I'm using SAS 9.4 M4. This document recommends that I need DB2 10.5 or later. Considering I currently have DB2 11.1, I'm ready to go. To review the rest of the combinations visit the SAS System Requirements page. Another evident must-have is an ODBC driver manager already installed. As you noticed, I use unixODBC version 2.3.1. It is always recommended to have the latest version, which nowadays is 2.3.4. Still, you should be fine if you decide to use any of the 2.3.X releases. In the past, I've seen users facing difficulties with unixODBC 2.2.X. If the product is displayed, move on to the next step. If not, look for SAS/ACCESS Interface to DB2 instead. If you have the latter, consider yourself a lucky person. You don't have to continue with this guide because you can connect to DB2 directly. If you need assistance with this off-topic issue, send me a message, and I'll be glad to help you. If you don't have either one, you should get in touch with your sales representative. If you don't see the above list, then the product is not installed. Although, if your SAS license includes it, use your SAS depot to install it on your server. IBM offers five different client packages. If you don't know which package to choose, you can't go wrong with IBM Data Server Client, it's the package I use, it includes all the client tools and libraries available. Another good alternative is IBM Data Server Runtime Client, but you will have to create your DB2 instance and user yourself. I would not recommend IBM Data Server Driver for ODBC and CLI. During my research I found that people could not get it to connect to a remote DB2 database. For more information about each client package, please visit IBM data server client and driver types. This test is the most critical requirement before starting with the actual configuration process. Take my advice for any connection you plan to configure in the future. Firstly, you must establish a successful connection between your database client and database server outside of SAS, using your database vendor tools. This validation is a must, regardless of your RDBMS or SAS engine. If you received a similar output you might continue; otherwise, you will have to catalog your DB2 server as a TCP/IP node, and then catalog the database on that node. Since this is beyond the scope of this guide, please review these IBM documents: CATALOG NODE command and CATALOG DATABASE command. 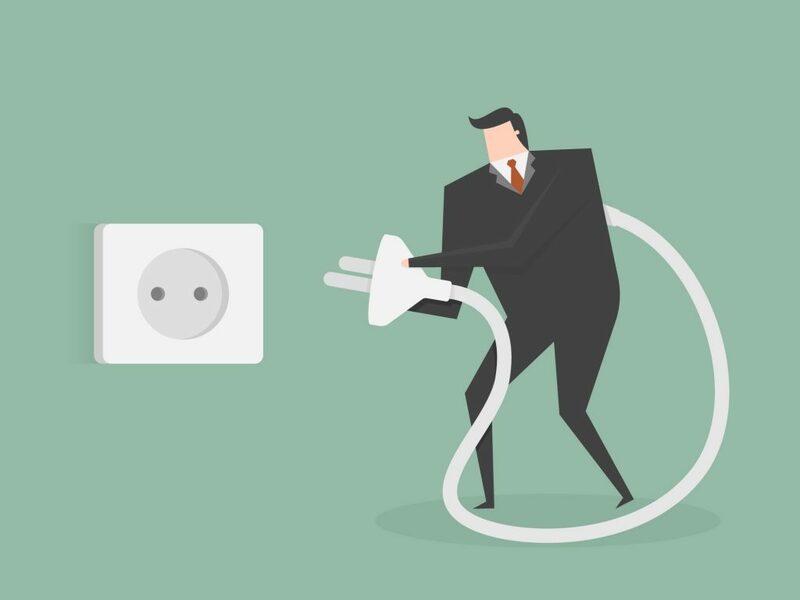 Considering that you have tested a successful connection between your database client and database server with the db2 command, it's time to set up a new one using an ODBC driver instead. Please bear with me. Things are about to get interesting. As mentioned at the beginning, unixODBC is my ODBC driver manager of choice. I use it for all my RDBMS in my lab to test ODBC connections. Its usage is almost effortless, but one of the downsides is the documentation. The only official document available for DB2 is: Using IBM DB2 with unixODBC. Judge for yourself. This driver manager has two configuration files: odbcinst.ini for database drivers and odbc.ini for database definitions. Typically with most databases, those two files are all that it takes to set up an ODBC connection. DB2 plays a different game though. It uses two extra files: db2cli.ini for DB2 definitions and an XML based file called db2dsdriver.cfg. Note: For IBM, the ServiceName keyword is the port number. The default port number for the DB2 default instance is 50000. Review the correct port with your DBA. Having set up both unixODBC and DB2 files correctly, I was feeling lucky. Therefore, I attempted a connection again, but I received the same error. My frustration was on the rise. I continued digging into the documentation until I found a powerful tool: db2cli with a particular parameter: validate. This command/parameter duo can help you verify the contents of your configuration files (db2cli.ini and db2dsdriver.cfg), list their location, test your data source names and databases, display invalid/duplicate keywords, among other functionalities. It basically is your new best friend. The file is searched at "/home/db2inst/sqllib/cfg/db2cli.ini". At last, the DB2 ODBC driver was able to find the configuration file, read its contents, and validate the keywords. My frustration started to disappear. I managed to set up a successful ODBC connection using only three files: db2cli.ini, along with odbc.ini, and odbcinst.ini. Thus, the answer is no; you don't need to use this additional DB2 configuration file. For our scenario, I consider it as optional. Previously, I pointed out that it was an XML file, as opposed to db2cli.ini, which is a text file. Both can have the same four keywords I defined. Then why does DB2 provide two files? db2cli.ini is used to configure the behavior of CLI/ODBC applications, whereas db2dsdriver.cfg can be used for those as well, and for other types of applications including PHP, Perl, .NET, among others. In short, this concludes the DB2 configuration process. Now it's time to cover the SAS territory. So far we haven't touched any SAS files. We have only tested the DB2 connection first using the db2 command, then using unixODBC's isql command. These are mandatory steps before a successful connection with SAS. Let's analyze each of the above settings. First, SAS needs to know where to locate both unixODBC configuration files. The ODBCSYSINI variable instructs SAS to look for them in the /etc directory. Second, as a good practice, I defined an environment variable called INSTHOME to reference my DB2 installation directory. This variable is optional but highly recommended. Then, the DB2CLIINIPATH variable tells SAS the location of db2cli.ini. If you decide to use db2dsdriver.cfg instead, then replace that variable with DB2DSDRIVER_CFG_PATH. Finally, you have to inform SAS where to find unixODBC and DB2 libraries. SAS uses the LD_LIBRARY_PATH environment variable on Linux. This variable points to /usr/lib64 because it's the default path for all unixODBC libraries. I also appended the $INSTHOME/lib64 directory, since it's the place where DB2 has all its libraries. ERROR:  An exception has been encountered. Moreover, if you run this code in SAS Studio or SAS Enterprise Guide, you might not even get a response, SAS will just crash or hang for a long time. appendage could not be loaded. Note: Displaying actual data is an essential last step because if you are pointing to an incorrect DB2 ODBC driver (such as libdb2o.so instead of libdb2.so), you can still assign a library successfully, but you won't see any tables. I know it's a lot to digest. However, some users may not need to follow all steps to succeed, whereas others starting from scratch may require performing all steps carefully. Whatever your situation might be, I hope you find this guide useful and easy to follow. Did you struggle like me? Share your experience in the comments below or if you have any problems, don't hesitate to contact me. Thank you, Roberto, for this very well written tutorial. Thank you, Leonid, for the kind words. I hope this guide is useful for all our SAS users who are struggling with DB2. Recently in an environment getting thos Java abends wiht a complete crash of the running SAS process. By adding the same things als in the SSH environment into the SAS scripting some things improved. - retrieving underpinned the "current timestamp" not the datetime() predefined value. 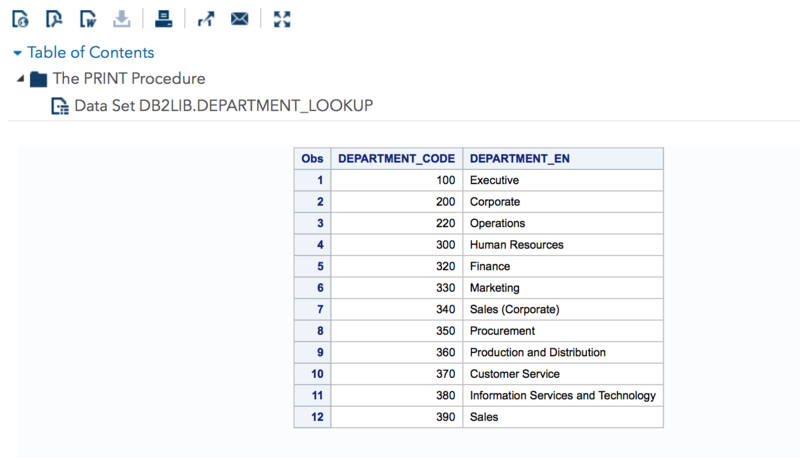 Really annying that a good description by SAS is missing in this case, very unusable. First of all thanks for such useful article. It has appeared just in right time when I was in need to setup db2 connection via ODBC. Why you are not using libdb2o.so driver? In my case it prevented me from segmentation error and, thus, from making links to *_u files. You might find interesting this SAS Note. Thanks for your feedback. I did not use the libdb2o.so driver because my customer was using it and at the final step even though we were able to run a LIBNAME statement successfully, there were no tables at all. After digging into his files, I noticed we were using different drivers, so I changed it to replicate my own configuration and he was able to display his tables. I came across that SAS note when I was doing my research, but I did not try it in my lab. Did you test the libdb2.so driver? Can you provide the details of your environment (SAS, OS, DB2, etc)? Any DB2 limitations with this method, including schema naming length?